Ward is a really good sport! 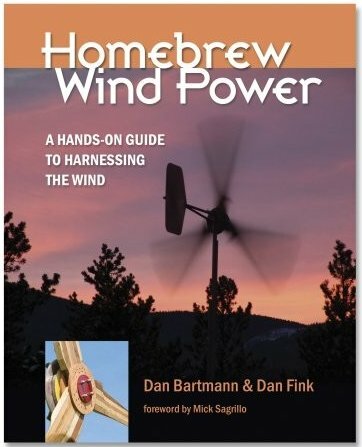 In fact he is DanB and DanFs favorite wind power guinea pig, since he has the tallest tower around, with the best wind exposure too. It's a tilt-up pipe tower 40 feet high, made from 3 inch and 2.5 inch steel pipe. We have raising and lowering the tower down to an art -- really only about a 10 minute proposition. This is a good thing--it took us a few tries to come up with optimum tower, alternator and prop designs. 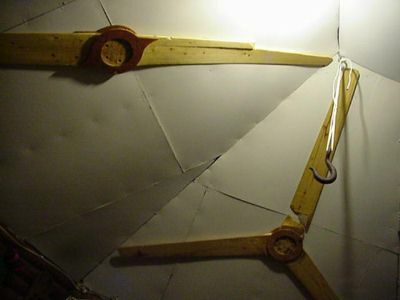 The failures all resulted in broken blades...which Ward mounted on his ceiling for decoration, hence Ward's Prop Gallery! 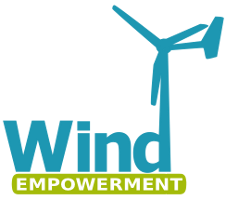 Ward is now flying the most powerful windmill up here--it does over 700 watts in 30 mph winds, and we've seen peaks of 1600 watts in high winds! The homebrew alterantor is made from an old Volvo disc brake assembly, and has a single phase stator and 36 large rare-earth magnets in the armature. 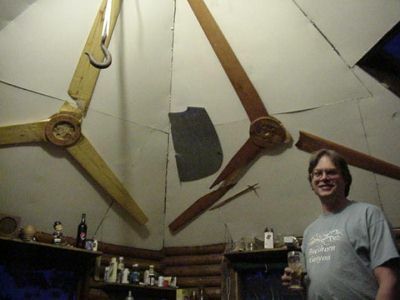 It's powered by an 8-foot diameter 2-bladed wooden prop that has survived some very extreme winds and is making great power...our most sucessful mill yet. It can be shut down electrically during high wind events...but that spoils all the fun! The best one...Douglas Fir with no knots...and an expensive cyanoacrylate finish! 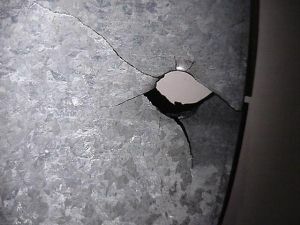 Stress fractures from vibration in a sheet metal tail. 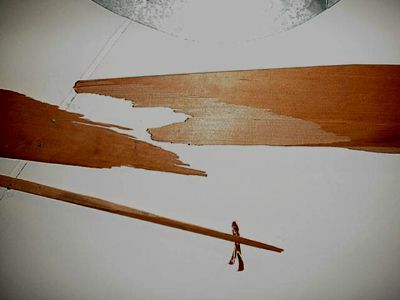 We don't use sheet metal any more because of this...can you see why we think sheet metal blades are dangerous?!? !